Are you suffering from blocked drains in the Putney, Roehampton, or Wandsworth area? If so, our expert technicians will respond to your call within 2 hours to help resolve any drainage issue you are facing; the area is well connected to central London via the A205 and A3 so getting our fully equipped vans to you as quickly as possible is no problem. We work 24 hours a day, 7 days a week, and arrive at your property with state of the art drainage equipment, ready to assist any way we can. Very responsive and professional. Did an excellent job and were very courteous and efficient. I would highly recommend the service. We treat drainage emergencies very seriously. We know that a blocked toilet or a blocked drain can escalate out of your control in an instant, so we aim to respond to your initial call within 2 hours. Access throughout the Putney area has been made simple due to the A219 running through the centre of the district, Putney Hill is one of the quickest ways from North to South, Fulham to Wimbledon. 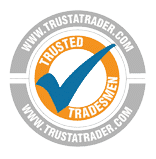 Our technicians will arrive at your home or business with sophisticated tools and equipment, such as high-pressure jetters and high-spec rotary machines, to perform a high-quality and efficient service on your drains. 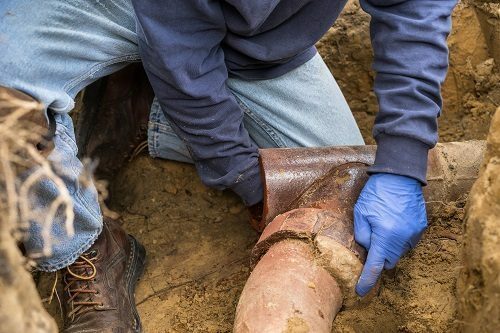 Our team of technicians have decades of experience in the drainage industry and know everything there is to know about repairing and replacing drains. Before committing to a drain repair, our technicians may suggest a CCTV Drain Survey to identify the cause of the blockage and determine whether the issue would be better resolved by a drain replacement. We want to provide our customers with complete clarity, so we record our survey footage and show them where the issues lie. The responsibility of the network of public sewers in the Borough of Wandsworth is with Thames Water Utilities. In October 2011, they took ownership of all sewer systems in the Putney area and are solely responsible for its maintenance and repairs. Visit their website for information on reporting sewer flooding and blockages. Whilst new roads are built with effective drainage systems installed, occasionally the drains and gullies can become blocked and high levels of surface water. The Wandsworth Council suggests waiting to see if the drains naturally deal with the excess water, otherwise get in contact with them to seek a resolution. Surface water on roads can be particularly dangerous to road users, so it is in the interests of the council to respond to these issues quickly. The maintenance of an individual drain serving a single property is the responsibility of the landowner. The only instance where this drainage system is not the landowners’ responsibility is when it meets a shared pipe or becomes part of the public sewer system. We are happy to provide a fast and effective unblocking service on your private drains. 4.96/5 ★★★★★ rating based on 64 reviews from our customers on value and quality for our drain cleaning and unblocking services. Business Address:129b High Street,Stevenage,Hertfordshire,SG1 3HS,GB |Tel: 0203 633 3897 |Email: info@quickcleardrainage.co.uk. 4.96/5 ★★★★★ rating based on 64 reviews from our customers on value and quality for our drain clearance services.